That One Pen has been going since late 2013. At times, it’s been very busy. At other times, it’s been very quiet. I’ve learned a lot about what I do and don’t like when it comes to pens, pencils and paper. It’s been a lot of fun and although I have not achieved the goal of finding that one pen (never really was going to), it’s time to move on. It’s time to move on, but it’s not time to go away. I’m moving my blogging efforts to a new space so that I can explore more ideas. And that’s really the key – ideas. That One Pen has been about stuff. Stuff is great, but stuff is not enough. As I’ve mentioned before, I’m a teacher. Working with students is incredibly rewarding but I also really like teaching because I like the ideas. Looking back at the path I’ve taken since high school (Bachelor’s, PhD, fellowship, teaching) it’s pretty obvious that a fascination with ideas was always there. During the day, I get to teach chemistry and philosophy ideas to talented and dedicated students (most days at least). I need to expand my idea time into my blogging time. To those who enjoyed my thoughts about pens and the like, I have two things to say. First, thank you. Time is a resource. Thanks for spending some of your resources here. Second, I have good news. 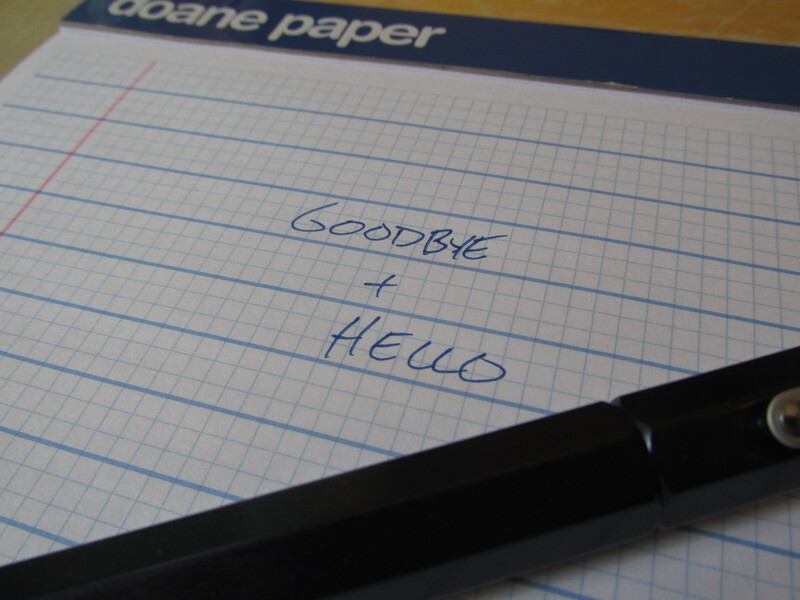 I will still write about pen and pencil stuff on the new space. The new blog covers a broad range of topics (science, technology, philosophy, sports, music, politics), but there will be ink and graphite thoughts showing up there from time to time. In fact, a pen post is among the first already up on the new site. The new blog is called XXXXXXX. If you followed me on twitter @thatonepen, please follow me @Cranerxn. 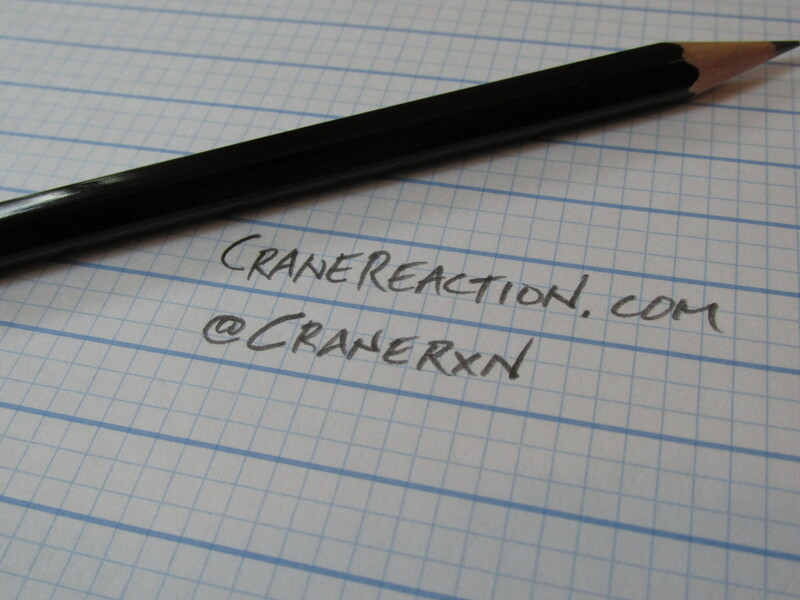 (Isn’t that a cool way to abbreviate Crane Reaction?). If you followed me instagramly via That1Pen, please consider setting the instadial to Cranerxn. Hopefully you won’t mind bits about science, education, sports and other topics to go with your pen and pencil social media. Eventually, the That One Pen social media accounts will be ghost towns. I never expected this blog to get as much traffic as it did so, again, thank you. I hope this is not goodbye. Instead, I hope it’s see you later. Posted on 07/08/2016 01/02/2019 by Todd	This entry was posted in Uncategorized. Bookmark the permalink. Hi Jonathan – Frustrating isn’t it?! 🙂 Anyway, if you read the pen related post on my new site (cranereaction.com) you’ll see that I admit that there’s really no such thing as that one pen. Thanks for reading. so if you had to pick one pen, would it be the render K2? I’ve become a big fan of the phenolic Render K but a recently purchased Levenger L-Tech 3.0 has really blown me away. Too hard to choose!